J.R.R. Tolkien was voted the most influential author of the twentieth century. He spent 18 months in the Hull and East Yorkshire region during the First World War. Exactly one hundred years after the fortunes of war brought him to the delights of the rural East Riding, our odyssey will retrace his steps! A full day coach tour (starting from Hull City Centre) of all the known places J.R.R. 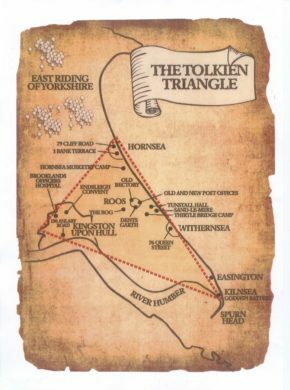 Tolkien lived and visited during his time in the region, taking in city, countryside and seaside with lots of stops and photo opportunities. 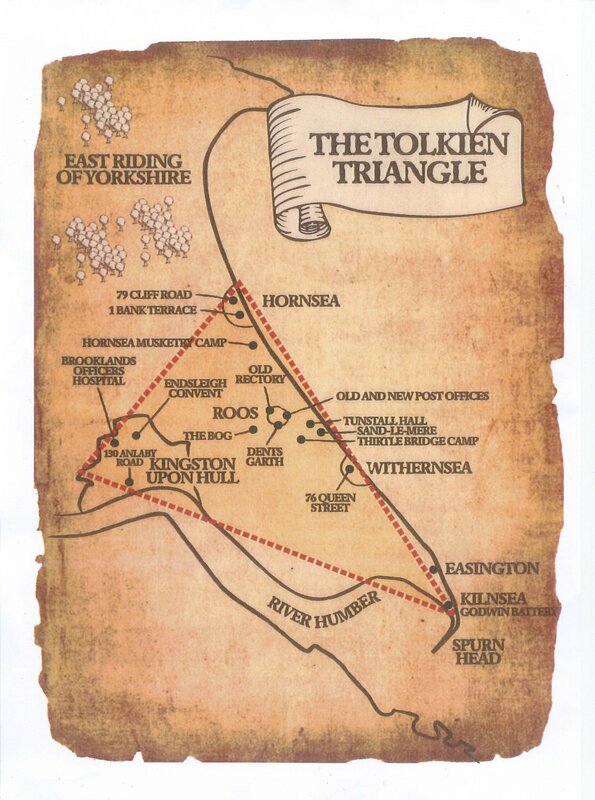 Phil Mathison, author of Tolkien in East Yorkshire 1917-18, and Tolkien Society member Michael Flowers will provide commentary on how each location influenced the author’s work on the Middle-earth mythology and stories. They will also be on hand to answer questions and chat all day. At the end of the tour, we will visit the village of Roos where there will be tea, cakes and refreshments and the amazing Fellowship of The Ring costuming group waiting to meet us. This is also a great chance to have a look around this important location to the Tolkien story. Tickets are £19 for adults and £16 for under 16s, including the full day coach tour and drinks, cakes and refreshments on arrival in Roos.